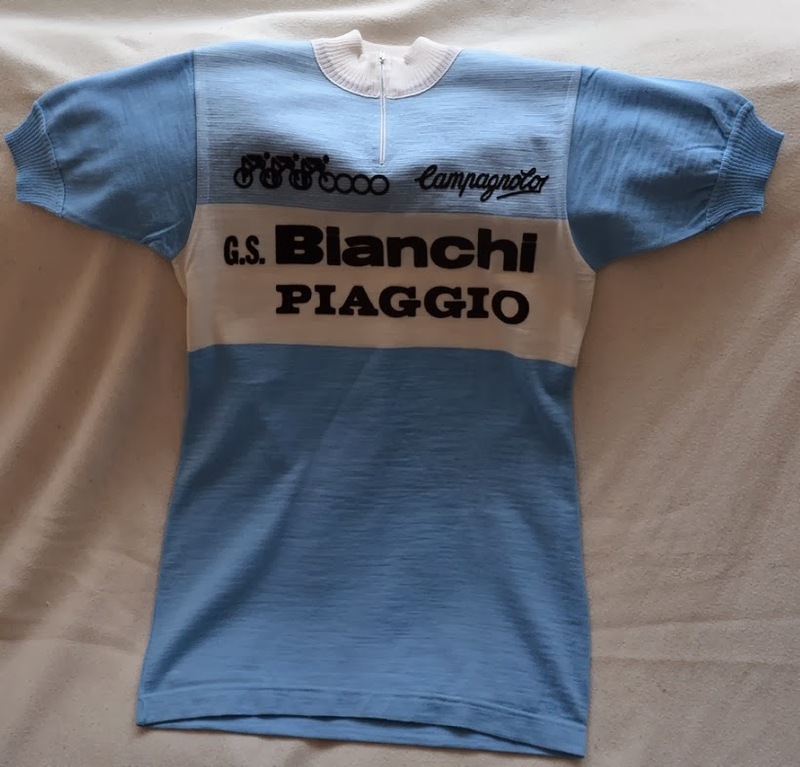 When it come too older Jerseys they are rare too find and when you find them, they are almost every time pretty expencive or well worn. 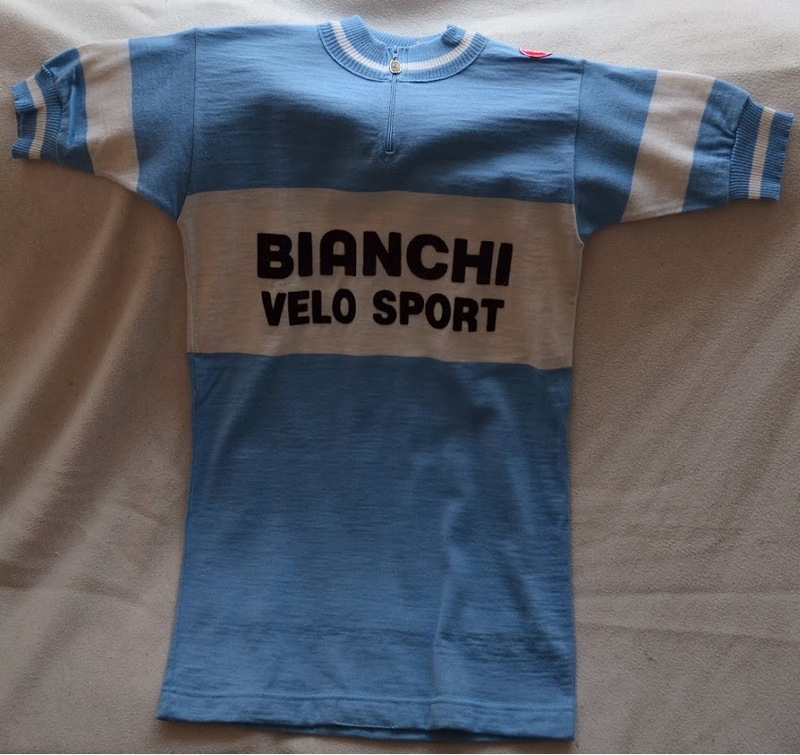 I had the luck to find Three different Jerseys in very good shape. 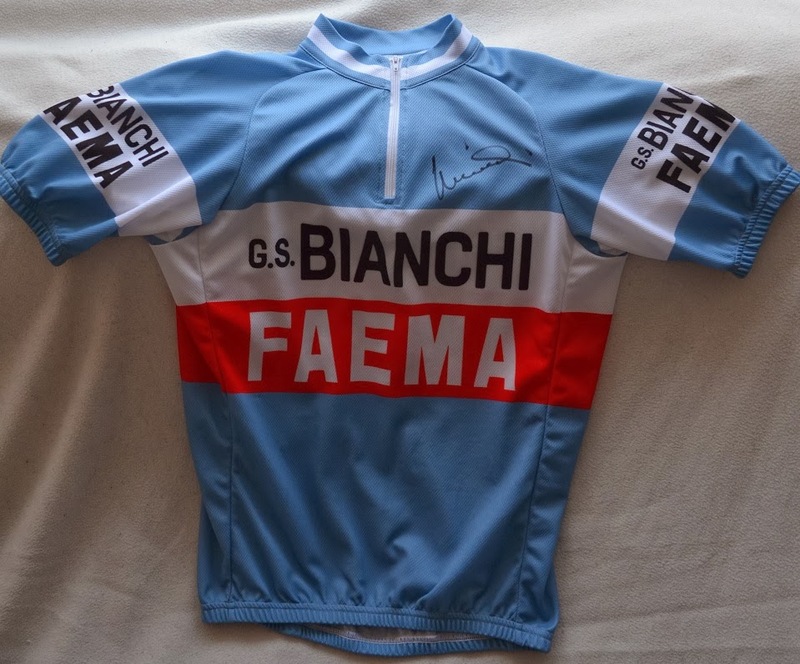 The Jersey with Bianchi Faema is a replica, because I have never seen a original one for sale. 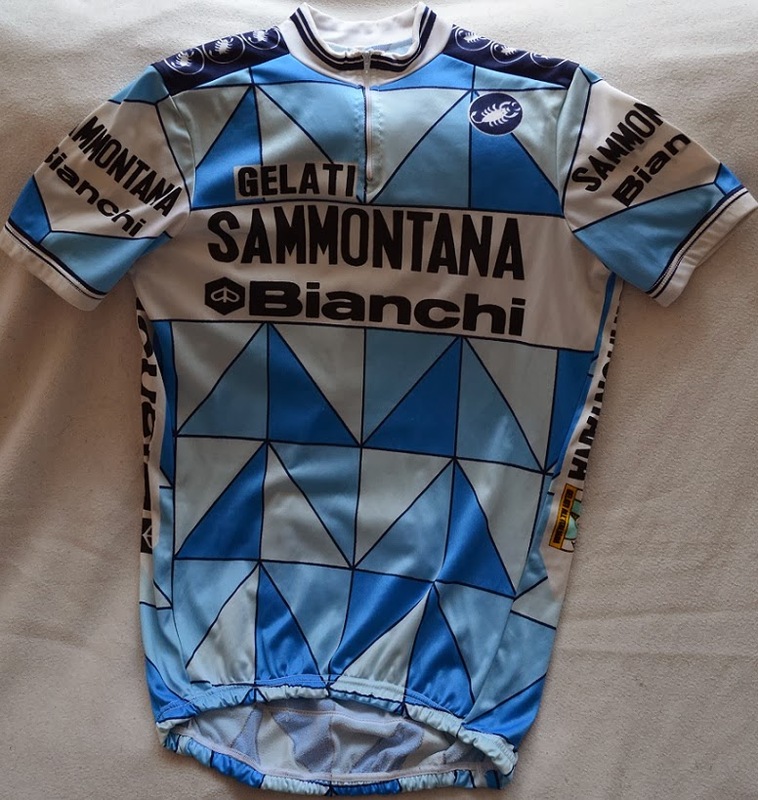 But some day there will be one and then I get it. 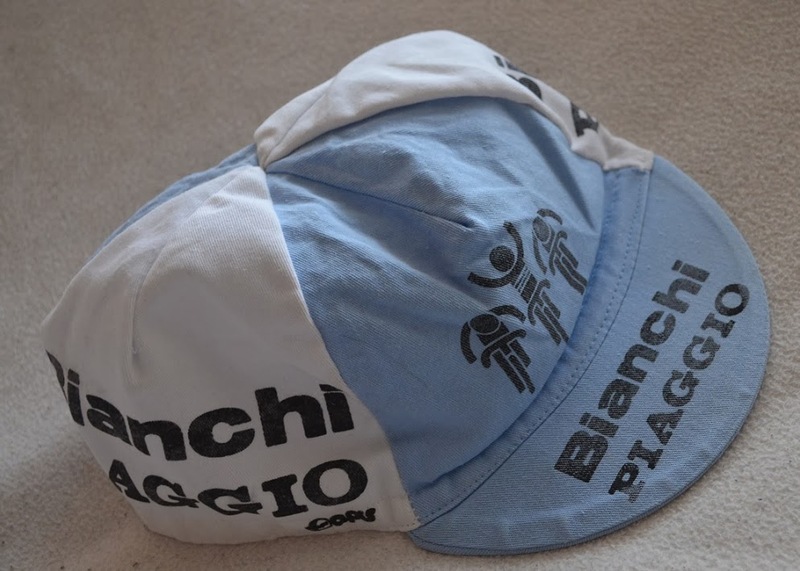 The Cap of Bianchi Paiggio is original and also veery rare, today you can find replicas on the net but they still miss the bikes in the forehead of the cap. 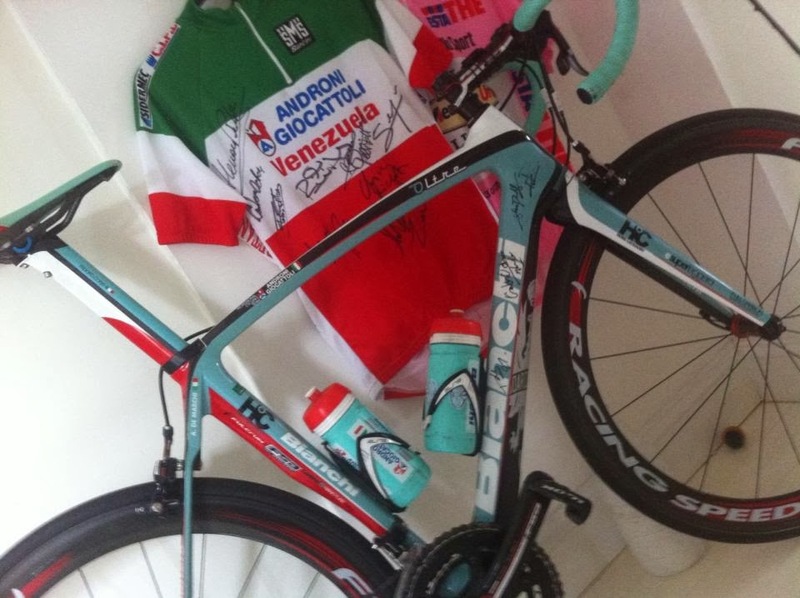 As you can see in my photos.